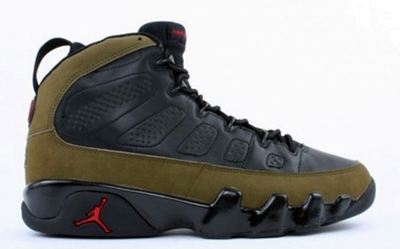 Earlier this year, we informed you that the Air Jordan 9 “Olive” will be making a return later this year. It has already been confirmed that this much-anticipated colorway of the Air Jordan 9 Retro will be released on November 17 – almost a month after the release of the Air Jordan 9 “Johnny Kilroy”. This edition of the shoe first came out in 1993 and was retried on 2002, making the upcoming edition as the third release of the shoe. The Air Jordan 9 “Olive” sports the same features of the 1993 and 2002 release aside from the glossy black midsole of the upcoming edition of this shoe. Mark your calendars now and make sure to get on this November!